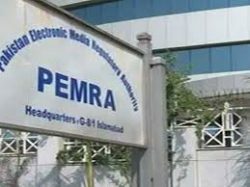 ISLAMABAD: The Ministry of Defence on Tuesday submitted a complaint with the Pakistan Electronic Media Regulatory Authority (Pemra) seeking action against Geo TV for tarnishing the image of a state institution, the Inter-Services Intelligence (ISI). The complaint was submitted under the Pemra Ordinance and rules for a false and scandalous campaign undermining the integrity and tarnishing the image of state institution ISI and its officers, sources told The Express Tribune. The four-page complaint, which includes the script of news bulletins, tickers and breaking news, says that ‘the said reporting has violated the specific terms and conditions of its licence’. 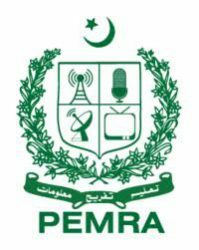 The violation of terms and conditions of the licence issued by Pemra to the Independent Media Corporation (Pvt) Ltd makes the network liable for measures including ‘cancellation of licence by Pemra’. The complaint urges Pemra to ‘immediately suspend the licence, and after examining the facts cancel the licence of the Independent Media Corporation (Pvt) Ltd granted under Section 20 of the Pemra Ordinance, 2002’. 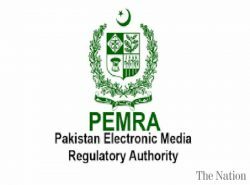 It seeks ‘… prosecution of the editorial team and management of Geo under Sections 33 and 36 of the Pemra Ordinance 2002 read with all enabling provisions and the Pemra rules as amended from time to time’. Referring to the April 19 incident, the complaint says that ‘apparently an assassination attempt was made by some unknown assailants at around 1730 hours at Karachi on Hamid Mir, an anchorperson associated with Geo News, a venture held and operated by M/S Independent Media Corporation (Pvt) Ltd, Karachi. Immediately thereafter, a vicious campaign libelous and wherein false accusations were made against a state institution tasked to work for the defence, sovereignty and integrity of Pakistan i.e. Inter-Services Intelligence (ISI) and its DG Lt General Muhammad Zaheerul Islam’. “The telecast in question/campaign was aimed at undermining the integrity and tarnishing the image of the state institution and its officers and falsely linking it with the terrorist outfits/activities,” it said. “The attempt was detrimental to the interest of the institution and the country. The said footage was picked up by foreign media, particularly Indian channels, who instead of objectively reporting the incident overplayed it repeatedly,” it added. The complaint further said that the print media, particularly Jang and The News also published defamatory, libelous and scandalous material as has been done by their sister-concerns in electronic media. The management, therefore, followed the suit and joined hands for carrying out the above mentioned illegal acts. This makes the said publications and the persons responsible for actions under i) Sections 3, 4 and 9 of the Defamation Ordinance 2002, ii) Sections 19 and 27 of the Press, Newspaper, News Agencies and Books Registration Ordinance, 2002 and the rules framed there-under and also the terms and conditions of the licence/declarations granted or operated there under and iii) the measures and mechanism under the Press Council of Pakistan Ordinance, 2002. A senior official told The Express Tribune that a sealed envelope carrying the defence ministry’s application from the secretary defence was delivered for the Pemra chairman at 9:32 pm. “Pemra will discuss the entire issue in its Board of Directors meeting on April 24,” sources added.